This is the tank that I ran on the ol' A7 back in the late '70s. 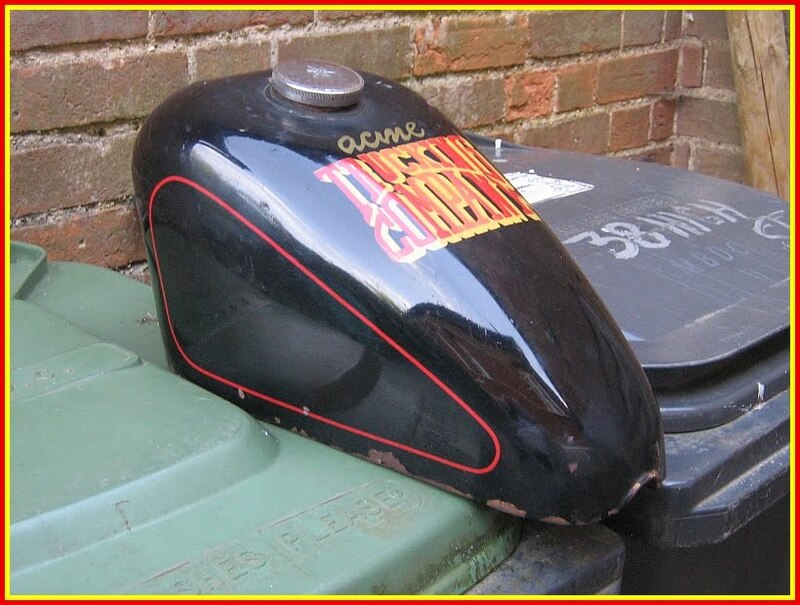 Genuine Harley spare when it was bought. Can't remember the price but it was pretty damn expensive at the time. Seem to remember it was a bit of a wrench attacking it with a hacksaw after paying out for it. Still, it looked the part. 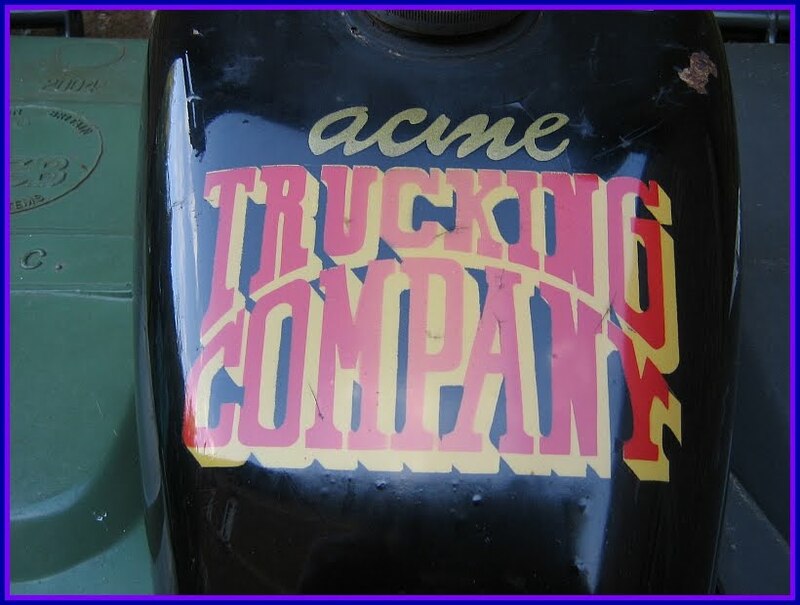 The paint was done by John Williams' sister, that's the JW of The Tank Shop fame, so as you can see they are a pretty clever bunch all 'round. It hasn't lasted that badly after living in various sheds for the last 30 years. I suppose that I am almost duty bound to resurrect it, one way or another. The filler cap is a pukkah FS1E number by the way, probably worth as much as the tank now, the amount of interest those bloody mopeds attract.